Looking for an ER diagram program used on Mac similar to Visio? 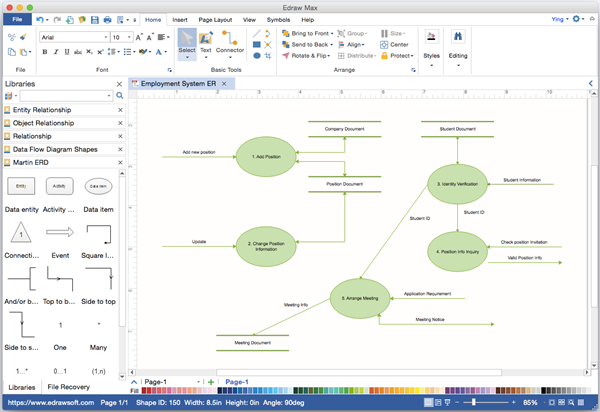 Edraw is a popular Visio alternative for making er diagram and other drawings on Mac system. It is more powerful than Visio but can save you much money, time and effort. You don't need to empty your pocket for Visio any more. Productive and popular app doesn't necessary be expensive. Here is an cheap and productive Visio alternative for Windows as well as Mac system. To benefit Mac users, Edraw has newly released a Mac version allowing users to create entity relationship diagram easily on Mac OS X system. Try this vector based diagramming software containing similar features with Visio that helps easily design ER diagram with ready-made symbols and templates. The ER diagram symbols are comprehensive, accurate, and with a customizable capability available to be edited. With this Visio like tool, users can develop professional ER diagram in a way faster than you think. 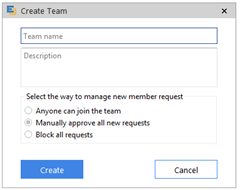 Creating an entity relationship diagram requires only a few steps. Follow the instruction below. Start Edraw, from the Available Templates, find Database. Choose an ER diagram type and start. The ER diagram symbols library will open automatically on the left, which contains the most common symbols for ER diagram. Drag a suitable shape for each entity or primary business concept relevant to your model. Model the relationship between each by using Connector tool to link related entities. Connect shapes and style the shapes as you like. 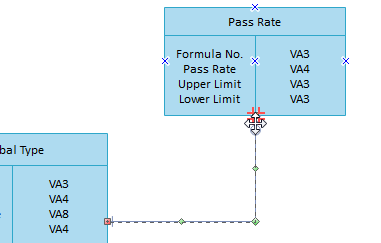 Double click each shape or line to label the entity or relationship using text or a numeric notation. Lay out your ER diagram by using grid lines and quick Align and Distribute buttons. Review your model with business and technical stakeholders. Export your diagram to a needed format. More drawing types are available for this Visio alternative, such as flowchart, network diagram, floor plan, p&id, UML diagram, infographics, electrical diagram, science illustration, wireframe, and so on.